The most basic and important key indicator, Profit Margin can be stated in either dollar or percentage terms. Profit is calculated for a specific accounting period, whether for the month, the year to date (YTD), or for the entire fiscal year. Profit is the primary financial goal of your business (unless you are a non-profit, of course, and then you might refer to this as “surplus”). Your for-profit business really must make a profit, and Profit Margin is the very first thing we should consider upon completion of any accounting period. Consistent, healthy profit levels mean a stable business. 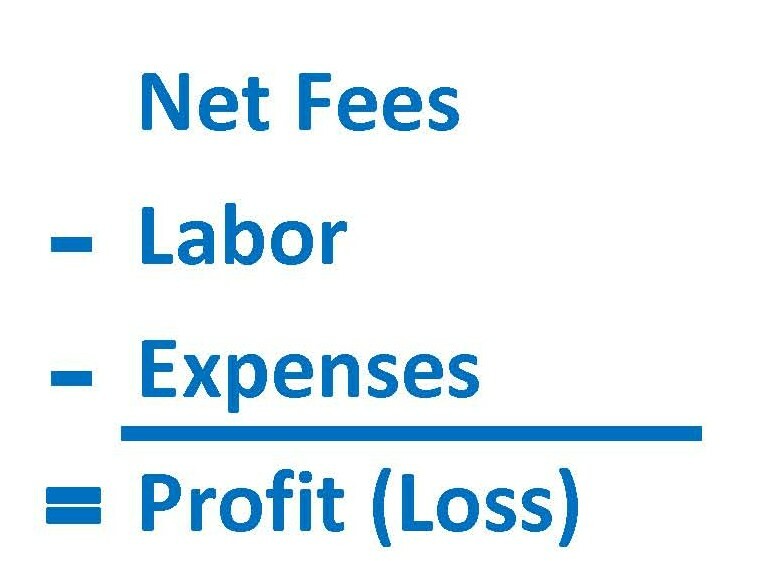 As the math would suggest, profit has three primary levers: Net Fees, Labor, and Expense. 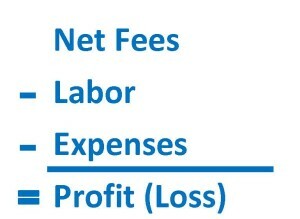 Profit is maximized by increasing Net Fees, and conversely, reducing, or at least controlling, Labor and Expense costs.